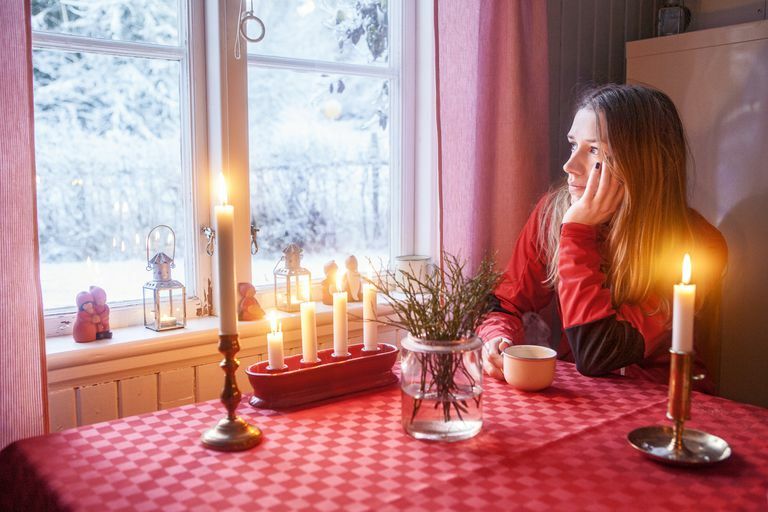 You might be alone on Christmas for different reasons, such as the death of a loved one, living far from relatives, or because of social isolation. If you have social anxiety disorder (SAD) and don't have close relationships with family or friends, loneliness at Christmas could be particularly hard. In general, there are three ways to cope with being alone at Christmas. First, you can address your mental state and how it is contributing to your loneliness. Second, you can find things to do on Christmas so that you feel less alone. And third, you can plan ahead so that you are not alone this time next year. Christmas is the perfect day to take the time to appreciate what you have in life, be it good health, a place to live, or food on the table. Having gratitude will also help you to move past anxiety, as you learn to live in the present moment and be mindful of your surroundings. One way to practice gratitude is to write down three things you are grateful for on this day. What if you're plagued by negative thoughts? If you feel like you don't know how to cope with being alone, ask yourself "What would I do if I did know how to cope?" You have more power than you think over your thoughts and how they make you feel. You can choose to feel lonely because you are alone, or you can choose to feel grateful for the positive things in your life. That doesn't mean that you need to spend every Christmas alone; just that dwelling on the fact this Christmas isn't going to help matters. Reframing your negative thoughts is the basis of cognitive-behavioral therapy (CBT), an effective treatment for social anxiety disorder. One way to cope with being alone on Christmas is to actually go out and do something productive. Rather than spend the day at home, alone, find something that you can do that fits with your mindset and mental state for the day. If you feel full of energy, maybe you might go for a 5k run. If you feel social, you might attend a church service to be in the presence of others. Below are some other ideas of things to keep you from focusing on the fact you are alone. Perhaps you are alone this year because you turned down invitations. Call those people back and say "yes." This is often a problem for those with social anxiety—you turn down invitations only to regret it and feel lonely afterward. One way to gain a better appreciation for the good things in your life is to get involved in volunteering. Volunteering during the holidays is a way to connect with others, boost your self-esteem, and bring joy to people who are less fortunate. Consider offering to help serve dinner at a soup kitchen, bring gifts to a children's hospital, or visit lonely residents at a nursing home. If you feel nervous about doing these social activities, all the better; it's a chance to test your boundaries and expand your social skills. In fact, research shows that practicing kindness may reduce your tendency to avoid social situations. You are not the only one alone during the holidays. Plan an "Orphan Christmas" for those who have no one to spend the holiday with, or join a group of people in similar circumstances. If you feel anxious about reaching out—consider that other people who are alone on Christmas may feel isolated, lonely, and nervous to call on you too. If you enjoy your work, and you have the option to work on Christmas, spend the day being productive. This is a smart choice if your job involves interacting with coworkers or customers; being at work will help you to feel less lonely. If you don't have the option to work on Christmas, spend the day working around your home or on a project that you've put off for too long. Do you have online friends? Do you have long-distance relatives? Host an online Christmas by setting up a Skype chatroom or Facebook group. People can drop in and out as they please, and you don't have to cook, clean, or even get off the sofa. An added bonus, you'll have a chance to practice your social skills as you welcome new people to the group and catch up with old friends. If being alone on Christmas is unavoidable, plan a day for yourself. Buy something online to treat yourself, cook your favorite foods, and plan a movie marathon. Or, cut through the cliches and do something offbeat like learning a new language or starting work on the novel that's always been in your head. Christmas is a day to indulge in whatever makes you happy. Plan for a better future. If social anxiety has left you alone on Christmas, vow to visit your doctor in the new year and get a handle on your anxiety. If you've never been diagnosed, make a plan to share your concerns—you can even hand a typewritten letter to your doctor if that helps. Social anxiety tends to be overlooked or mistaken for other problems, particularly because people with the disorder are not good at sharing how they feel. Use whatever means necessary to impress upon your doctor the severity of your symptoms. What If You Can't Cope? If you are feeling really down about being alone on Christmas and can't pull yourself out of it, reach out for help. Call a friend, family member, or a helpline. Regardless of whether you are physically separated from people on Christmas, you should never feel like you are lacking support. There are people who would love to hear from you and trained volunteers waiting to counsel you. While feeling socially isolated one day of the year may be common, finding yourself crippled by social anxiety more days than not may be a sign of a disorder. If you've not already consulted your doctor about severe social anxiety, be sure to make an appointment to discuss the possibility of a diagnosis and referral for treatment. Caputo A. The Relationship Between Gratitude and Loneliness: The Potential Benefits of Gratitude for Promoting Social Bonds. Eur J Psychol. 2015;11(2):323-334. doi:10.5964/ejop.v11i2.826. Kaczkurkin AN, Foa EB. Cognitive-behavioral therapy for anxiety disorders: an update on the empirical evidence. Dialogues Clin Neurosci. 2015 Sep;17(3):337–46.